One of the reasons I started my business two years ago was so I would be able to stay home with my son after my maternity leave. 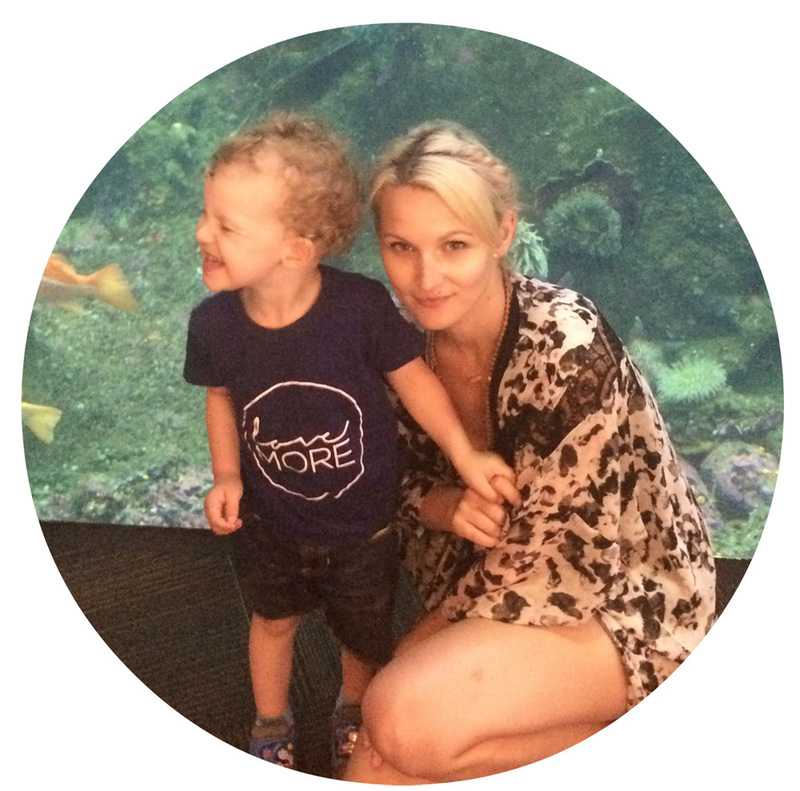 After jumping in head first and wearing that busy badge of honour, I realised that as much as I wanted to grow my business, I wanted even more to be fully present and involved with my son in these years that seem to be rushing by. By honing in on my focus, accepting help when it’s needed and taking time for my spiritual practice I’ve been able to grow a successful and soul expanding business while still feeling fulfilled, free and connected to my son while running my business as a stay at home mom. Reworking that opt-in, rewriting your about page (again), small perfectionist tasks and continuous learning without implementation are often just ways for your ego to play it safe and stop you from doing the scarier tasks that will really propel your business forward. When you work on the fear that may be holding you back, you are able to align with your goals and take meaningful action that guides you forward with ease. When I started focusing on doing three things a day that would make the biggest impact, such as reaching out to retailers, sending out pitches and finding ways to add value for my customers, I realized that I could work half the hours and still increase my revenue. Key takeaway: The universe will always reward intention and focus. 2. Just because you are good at something doesn’t mean you have to do it. Although it can be hard to relinquish control, finding a great assistant or bookkeeper allows you to focus on your strengths and the revenue building activities that allow your business to flourish. Outsource whatever you can afford that isn’t in your house of power so you can focus on creating meaningful content, getting your name out there and reaching out to potential clients. Key takeaway: There are no medals for being Superwoman. Delegate so you can focus on your strengths. Sometimes you just need kid-free time to get something important done. Note down five friends you are able to leave your kids with, or neighbourhood drop-in programs, in the event of something popping up when you are the only caregiver available. That way if a great time sensitive meeting or opportunity comes along, you won’t be scrambling for childcare or need to turn it down. Key takeaway: Accept help and be prepared for any opportunities that can propel you forward. One of the best things about being a work at home mom is the ability to be there for your children every day, so enjoy it! Set times in your day to do your most important work when the kids are napping, at school or after they go to bed, and limit your working around the kids to quick social media check ins. On days that I would try to focus solely on work, I would end the day feeling guilty that I didn’t spend more time with my son, and annoyed that I didn’t have more to show for all the hours I had been putting in. When I started to plan flexible work-only periods, I got things done in half the time and felt more connected and at ease. Key takeaway: Work when you are working, and be fully present with your kids when you aren’t. When you make time for a regular spiritual practice you fall into alignment with the universe and you are able to work with more focus and intention, letting you complete more meaningful work in less time. It’s easy to start the day by checking social media and looking at your email, but instead try taking advantage of your freedom and start the day slow. Put on some music, meditate, make your coffee and find a soothing ritual to connect with the kids. For example, after my morning meditation we turn on some music and my son and I eat breakfast together, chat about our intentions for the day, and play a few rounds of our favourite board games. That quiet time is so precious because it allows us to connect and sets the tone for a peaceful, mindful, intentional day. Key takeaway: Prioritise your self-care, and in turn you’ll be more productive. 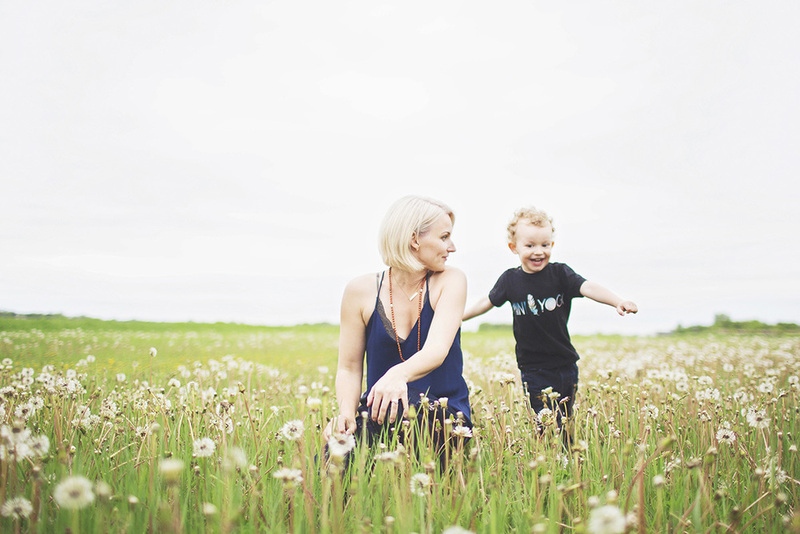 Heather Mudry started Mama Malas after falling in love with mala beads and healing stones as a way to provide a tangible tool to help mothers stay present and focused on their goals and intentions as they navigate motherhood. When she’s not playing with her son, you can find her relaxing by a bonfire, exploring the mountains, shopping for crystals and mainlining coffee. She lives in the foothills of the Canadian Rockies with her husband, son, and pup. Learn more about her mission to weave more presence, intention and mindfulness into Motherhood at www.mamamalas.com.